Each December for the past four years, our company has supported local charities throughout the holidays. Our participation has been greatly appreciated by the local families we support, however, each year we find that there are more than enough donors for the charities we’ve been participating in. Because so many of us look forward to helping those in need during the holiday season, this year we are introducing something new that can make an even greater impact on the lives of others. It’s our distinct honor to share with you all an organization that one of our employees, Francine Abel, has co-founded called Pheed Philly; a small, grassroots, non-profit (official status in the works) group that assembles and hand delivers care packages directly to homeless individuals living on the streets of Philadelphia. Pheed Philly was born out of a spirit to give back to the community, and to help the homeless remember that there are people who care and that they haven’t been forgotten by society. In short, it is our goal to spread awareness about the reality of homelessness and help to humanize and aid those experiencing it. 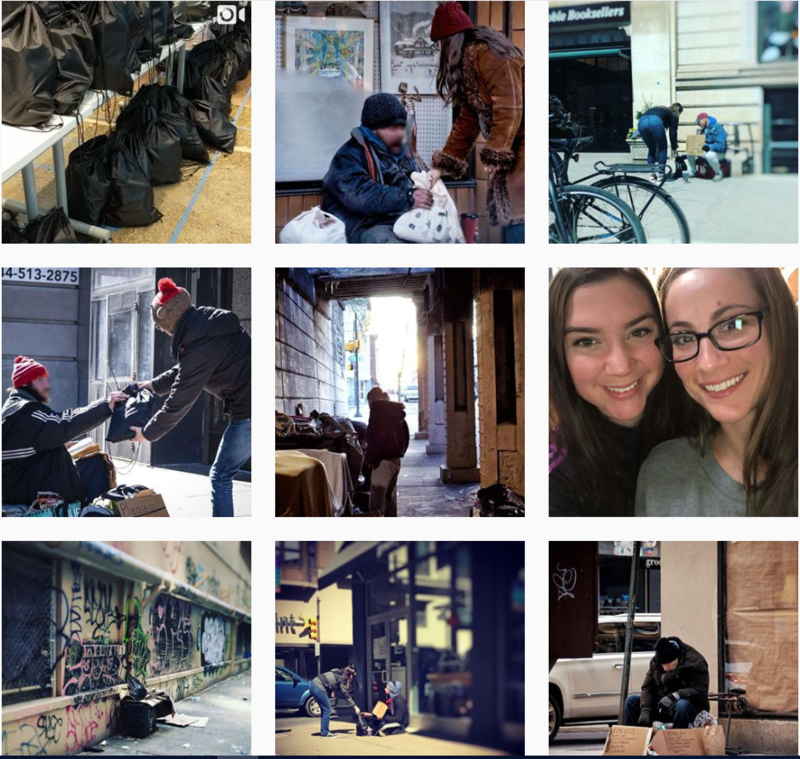 Last January while visiting Philadelphia during freezing temperatures, founders Francine and Sarah were inspired to help when we saw the number of people living on the streets without shoes, or even warm socks. They both put their heads together and developed a plan to collect and distribute essential items to these people. They have held three successful handout events thus far. Our next and final event for 2018 will be held on Sunday, December 16th. At each event, we fill 100 care packages with basics such as food, water, clothing and accessories. Then we deliver them directly into the hands of homeless people we locate on the sidewalks of Philadelphia. We’re hopeful the support of the JW family will help the next event to be a major success, and hopefully the biggest one yet. If anyone is interested in participating in the event on December 16th by filling the care packages or hand delivering them along with the Pheed Philly crew, please email [email protected] for details. If you don’t have the time to participate in the event, please consider visiting the GoFundMe to make a donation: www.gofundme.com/pheedphilly. To give you an idea of expenses, each care package costs about $12. Through our live events on social media you can even see where your money goes and who it benefits. We are looking forward to delivering some real joy to those less fortunate this holiday season with your help. Thank you in advance for your incredible generosity and support. Please check out the links below to see what Pheed Philly has accomplished thus far and feel free to reach out with any questions: [email protected].